As a basic method, Shamir’s polynomial-based secret sharing (PSS) is utilized to achieve polynomial-based secret image sharing schemes (PSISSs) with other better performances, such as meaningful shares, two-in-one property and et al. Since the modulus of the sharing polynomial must be a prime, e.g., 251 for PSISSs, Shamir’s PSS cannot deal with pixel values more than 250 well. 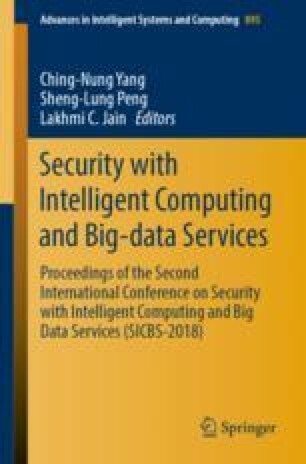 On account of the importance of precise recovery in the image encryption field, there exist several solutions to achieve precise recovery for PSISSs, which have natural drawbacks, such as large computational costs, random shape changes and extra division for sharing. In this paper, we utilize a simple filtering operation to achieve the proposed lossless PSISS, namely LPSISS, without any side effects. We choose 257 rather than 251 as the sharing modulus, and filter sets of shared values to abandon sets with pixel value more than 255. This solution to lossless recovery is simple but effective, which is valuable as a basic technique to achieve better performances. Experimental results are conducted to prove the effectiveness of the proposed scheme. This work is supported by the National Natural Science Foundation of China (Grant Number: 61602491).